You’re finally taking that long-awaited Alaska cruise. If you’re like most people, you’ll hop on a plane and within hours be at an embarkation port. One question I hear a lot is, “do I need a passport for an Alaska cruise?” The answer is easy: yes. And no. Marjerie Glacier in Alaska’s Inside Passage. Calving seems to happen every 5 to 10 minutes. On a “closed-loop cruise” – one that begins and ends in a US port – technically you don’t need a passport book. All you need fo that cruise is a government-issued photo ID and a birth certificate with a raised seal. But is that a smart decision? IMO, no. If your ship breaks down in a foreign port or if you have an emergency, to fly home to the USA you need a passport book for re-entry. Plain and simple. Without a passport, you’d have to get in contact with the local US embassy or consulate and apply for an emergency passport. This can take days, especially if it happens over a weekend. So what about a passport for Alaska? Alaska cruises are different. Your destination is our 49th state. Why would you need a passport for an Alaska cruise? Let’s break it down to itinerary. Even if you cruise aboard an Alaska Marine Highway ferry from Bellingham, Washington to Alaska, you still need a passport. You’d think you don’t need a passport, right? Wrong. Either north or southbound, your ship will stop somewhere in Canada. Even though we are “neighbors”, the last time I checked, Canada was not part of the United States. In order to enter Canada, as in set foot on Canadian soil and then re-board your ship, you must have a passport book. When a cruise ship heading up the Inside Passage to Alaska departs from a US port, the ship must…MUST stop in a foreign-flagged port before returning to the US. Why? First of all, just about every cruise ship that departs from a US port was built and flagged in a foreign country. Cruise lines erroneously site the reason for stopping in for example, Vancouver or Ensenada, as the Jones Act of 1920. This Act states that only vessels built, crewed and flagged in the US may carry cargo between US ports. It was a protectionist Act aimed at preventing foreign-flagged ships from moving their goods between US ports. But that’s not actually the reason. The Passenger Vessel Services Act of 1886 (46 U.S.C. 289) states that “No foreign vessels shall transport passengers between ports or places in the United States, either directly or by way of a foreign port.” Done. Archaic? I’d say yes. Since most of the cruise ships departing from U.S. ports are foreign-built, flagged and crewed, they have to include a foreign port call in all itineraries. That’s why Hawaii cruises leaving from Los Angeles and San Diego stop at Ensenada (Mexico) on their way back from the islands. 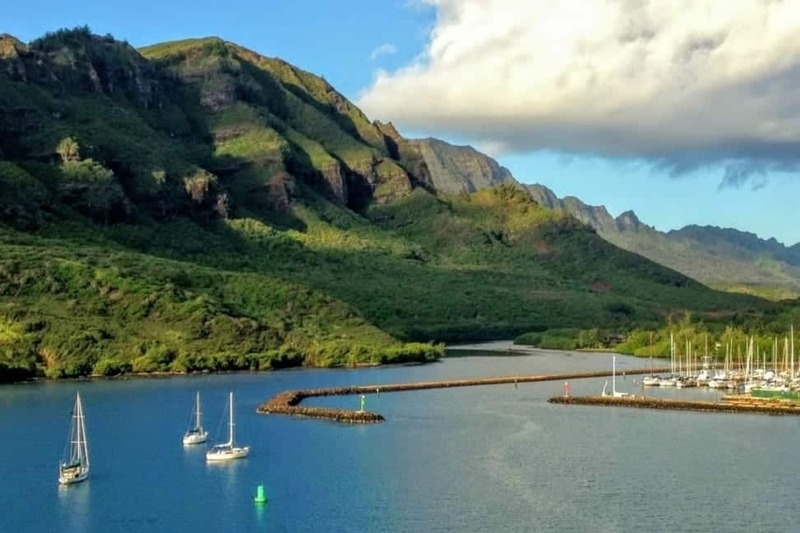 You’ll need your passport for a cruise to Hawai’i. Getting back to the passport question. If you want to disembark in Canada and re-board your foreign-flagged cruise ship that’s returning to the United States, you will need a passport book for your Alaska cruise. If your Alaska cruise begins or ends in Vancouver, British Columbia, Canada, think about how you’re getting to and returning from Canada. Unlike me, nearly everyone flies into Vancouver. Canadian law requires that all persons entering Canada carry both proof of citizenship and proof of identity. A valid U.S. passport, passport card, or NEXUS card satisfies these requirements for U.S. citizens. Children under 16 need only present proof of U.S. citizenship. Leaving Canada by air or sea back to the U.S. When traveling by air from Canada back into the United States, U.S. citizens are required by U.S. law to present a U.S. passport book. There are a few exceptions to this rule and a full list of documents that can be used at land and sea borders are provided on the U.S. Customs and Border Protection (CBP) website. Too complicated for me. You can use a passport card to reenter the United States at sea ports of entry from Mexico, Canada, Bermuda, and the Caribbean. However, if you are not able to return on the cruise ship for any reason (again, emergency evacuation or ship breaks down), you will need a passport book to fly back to the United States. Also, if you don’t care about being able to go home to the United States, you can enter Canada with an official birth certificate and photo ID. Remember the Eagles song, “Hotel California“? “You can check out any time you like, But you can never leave!” To paraphrase, without a passport book, you cannot re-enter the United States. What are you waiting for? Get your passport book and start to plan your Alaska cruise.